There’s a new sushi place in town called the Sushi Express Café. 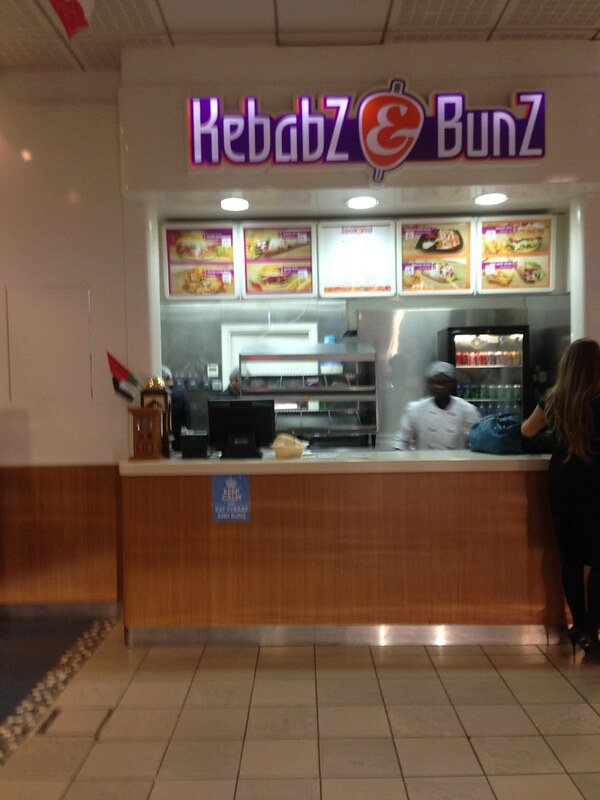 It’s located at Jumeirah Lake Towers (Dubai marina) side. Since we are big fans of sushi and it’s just a couple of walks near our office building me and my colleague Cathy decided to check it out. Ok let me start out by saying the staff was VERY VERY nice! Especially the manager, they are all very accommodating and friendly. Although when we entered the place we greeted them first but that’s because we’re just too friendly. They are almost too nice we were being checked on by the staff every few minutes. The best thing is they are all fellow Filipinos. 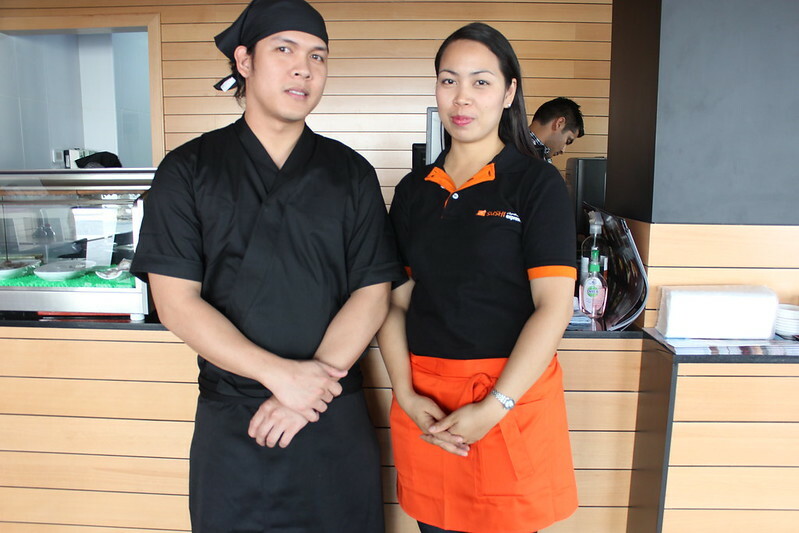 According to the manager, Mr. Romy Banoyo, the place is owned by a Pakistani and Japanese couple. It’s a very unique combo don’t you think? It’s good to think that the place serves authentic sushi because Romy said that everything on the menu is planned and prepared by the Japanese owners. There is a window to the kitchen so you can see the chefs at work, which is very nice, but the best thing is the quality of the food.